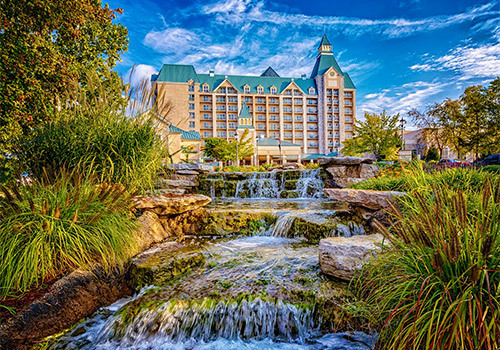 Find peace, quiet and total relaxation in any of our 301 spacious guest rooms and suites at Branson's only AAA Four Diamond Resort. 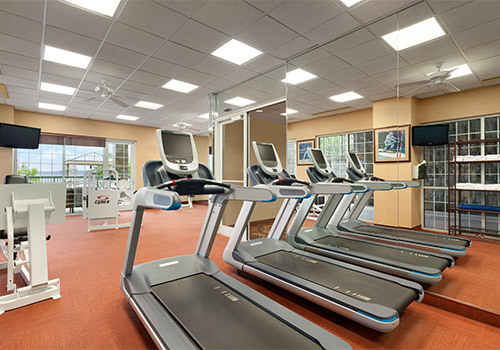 Surrounding our beautiful 10-story garden atrium, every room offers luxurious amenities including two dual-line phones with data port, voicemail, a coffeemaker, iron and ironing board, 32" flat panel HD television and wireless internet access (fees apply). Many rooms also feature balconies with spectacular lake views or mountain views. Join us for breakfast, lunch and dinner with exceptional dining at the Chateau Grille. 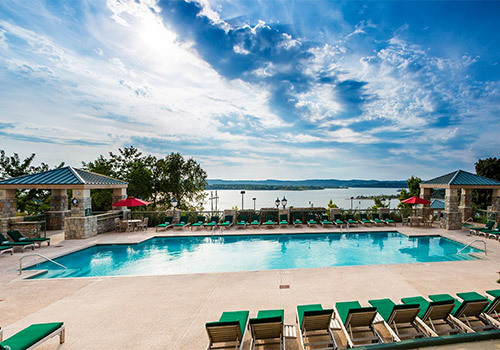 Featuring a delicious variety of entrees with impeccable service and breathtaking views of Table Rock Lake. If you're looking for lighter fare, our Atrium Cafe serves sandwiches and salads. Available for a quick lunch or light dinner, the Downstairs Deli, open seasonally, features classic dishes and new specialties. And those with a sweet tooth will find themselves in heaven at our Sweet Shoppe, filled with fresh pastries, specialty coffees, ice cream and old-fashioned sodas. At the end of the evening, unwind with live entertainment and your favorite cocktail in our comfortable Library Lounge. 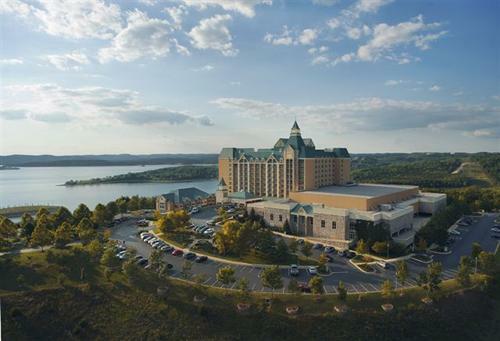 The Spa Chateau features world-class spa treatments while incorporating the natural beauty of the Ozarks. 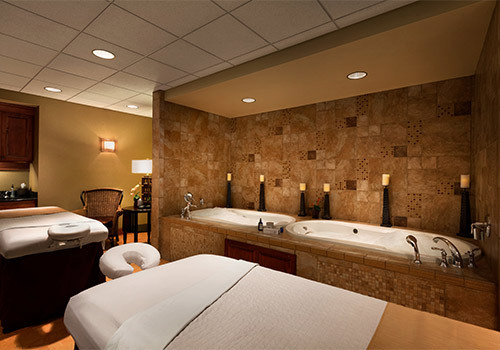 Offering massages, manicures/pedicures, facial and body services, as well as a hair salon/barbershop, the Spa Chateau caters to both men and women. 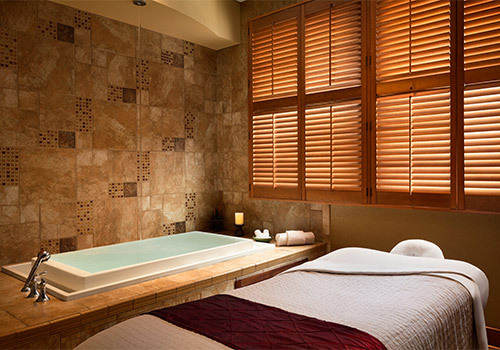 The perfect way to complete a couple’s massage is our co-ed Roman whirlpools, which are available both indoors and outdoors. Each locker room is appointed with a eucalyptus steam room, dry sauna, private showers and relaxation lounge. For your comfort, plush robes and sandals are provided.